Is your home in need of some repairs? Are you in need of some fresh ideas? Are you not sure what the simplest route to take is when it comes to an original and refreshing design? How do you choose a style? How do you implement it? We will try answer all of these questions today in this ideabook that is dedicated to fabulous before and afters, by top professionals from around the world. The below features 7 projects of different sizes, styles and designs, which will help you to realise the solutions that you need for your own home revamp. 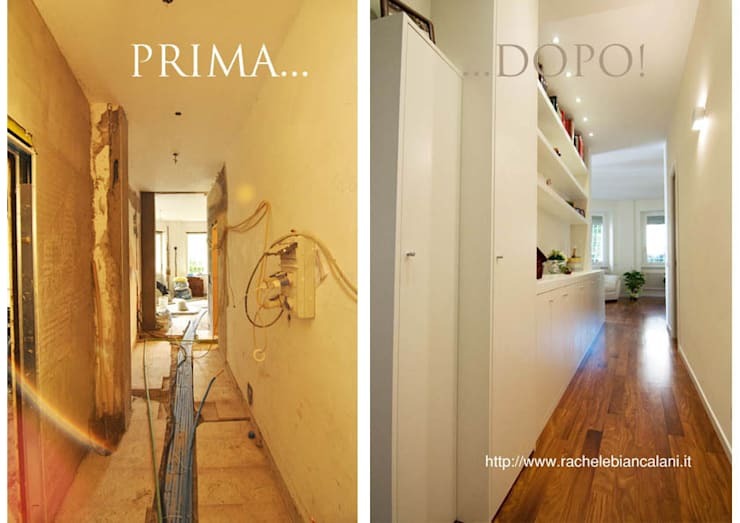 Having decided to revamp this old apartment in Italy, the owners did not expect to end up with a real work of art! 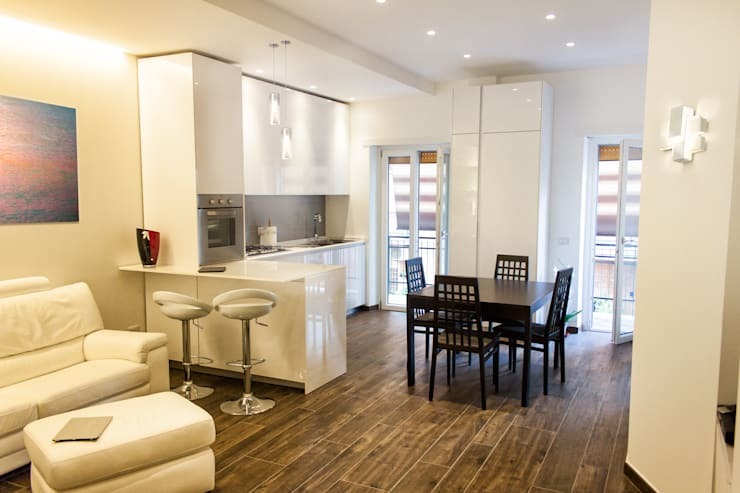 This simple flat has been completely redesigned. Apart from the fact that the rooms were completely shuffled around in order to create a chic and modern space for the living area and social spaces, brickwork has also been added into the design in a semi-circular shape for a very savvy look and feel. In this image, we can see what the circular wall was created for. Because of the white tones, it's a very subtle design but if we look at it closely, we can see how the smooth curved line brings a lot of charm to the space, while animating the beautiful modern interior. The semi-circular wall is the perfect addition to an interior design whether its modern, minimalist, classic or even art deco. This is also a great space for hiding a washing machine or appliances neatly out of sight. This old barn was repaired several times, before becoming a model of elegant modern design. Let's see what ideas the designers have used to redesign this space, creating a very refreshing look and feel without losing the charm of the old barn. The designers also had a lot to work with thanks to the impressive size! The ceilings have been developed to conceal irregularities in the roof, while the windows offer panoramic views of the surrounds from ceiling to floor. The designers have also added underfloor heating to the space, which creates a very warm and cosy space. 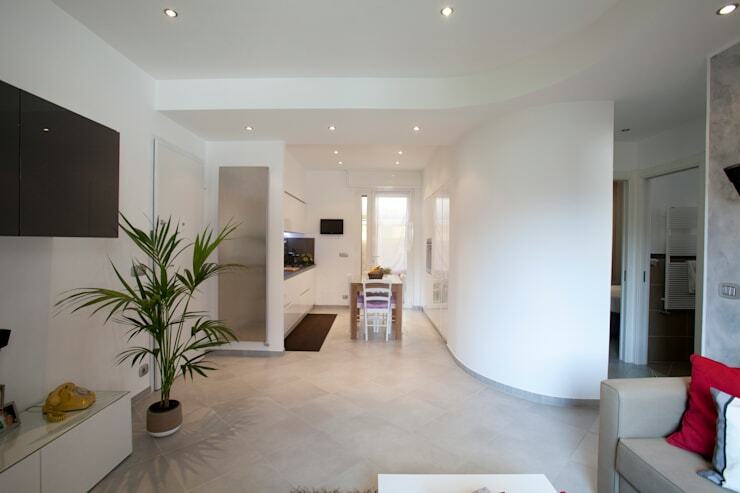 The interior design features modern finishes and simple, white walls. The pieces of furniture enhance the space while the natural light enlighten the entire home. Don't you love this gorgeous living room? This kitchen is large enough but it needed a breath of fresh air. 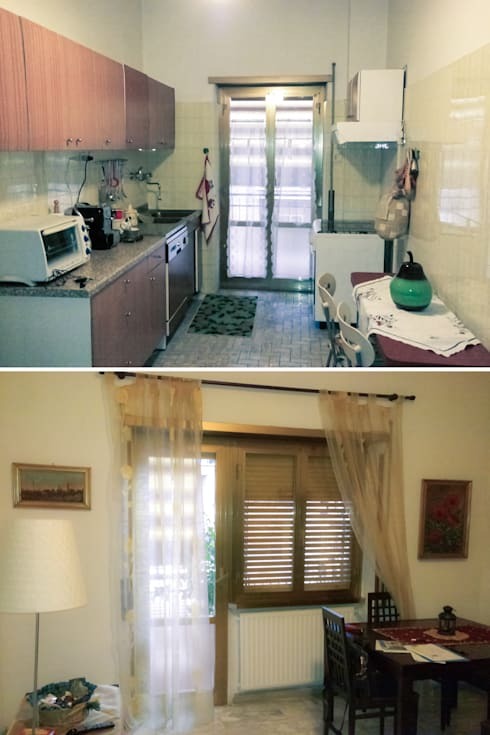 This kitchen is 18 square metres in size, but as we can see, it was very old-fashioned in the previous design. 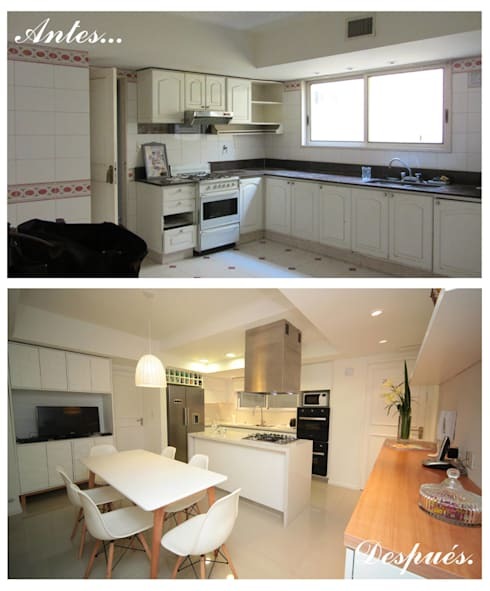 The after image is incredibly impressive with its modern finishes, white tones and light wooden finishes. In this room, we can see how the designers have created a fantastically elegant look and feel in this room. The partitions in this room are finished in an art deco style, with lighting installed throughout to illuminate the details. The fireplace, television and the entire living space are now completely enhanced. Bravo! Surprisingly, corridors often given us more trouble than other rooms in the house. In this image, we can see how a long and uncomfortable corridor that is cluttered with wires has become a beautifully decorated hall with plenty of storage! 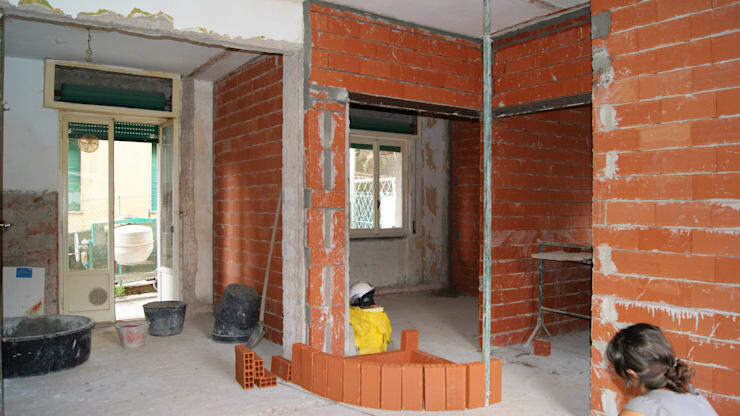 Few people dare to buy an apartment in such a state, yet there are lots of advantages including the value for money! 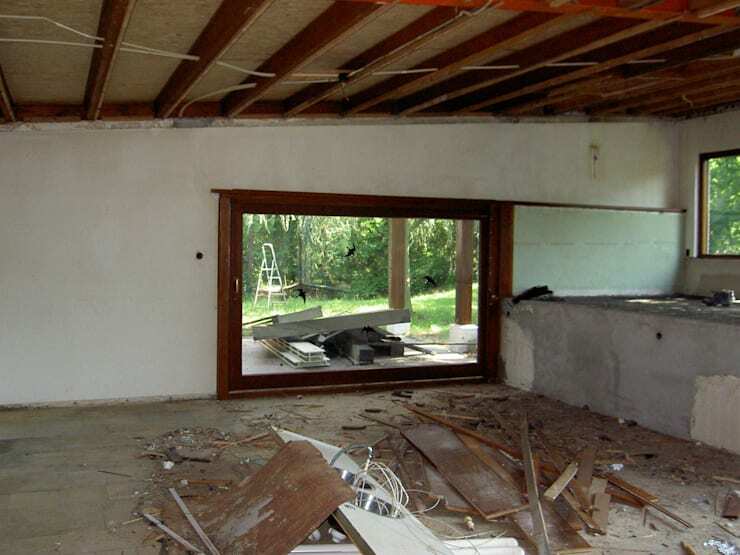 However, you can completely renovate it and possibly even put it back on the market for a much better price. Are you ready to see what these designers did? This minimalist loft needed very little budget for repairs and revamp. Just a little bit of paint and some new tiles went a very long way, creating an industrial look and feel. 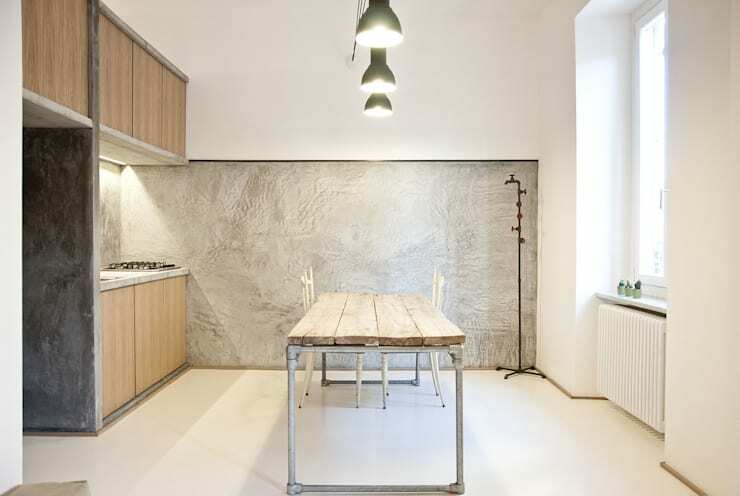 The grey shades and the metal works in harmony with the rough wood, brightening up the simplicity of the decor. This 1980's home was in need of a refreshing look and feel. The old-fashioned design was thoroughly disliked by the owners! Are you ready to see how they updated it? Among the methods used in this renovation was the highlighting of the breakfast bar in the kitchen. 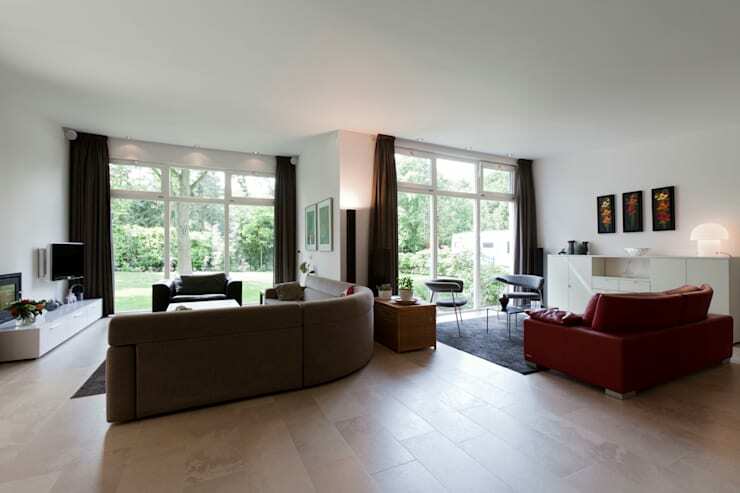 The wooden flooring creates a union between the kitchen and living room. The two-tone furniture—black and white—looks like a creamy and coffee finish. In this image, we can come across the plan of the apartment that we saw in the above image. 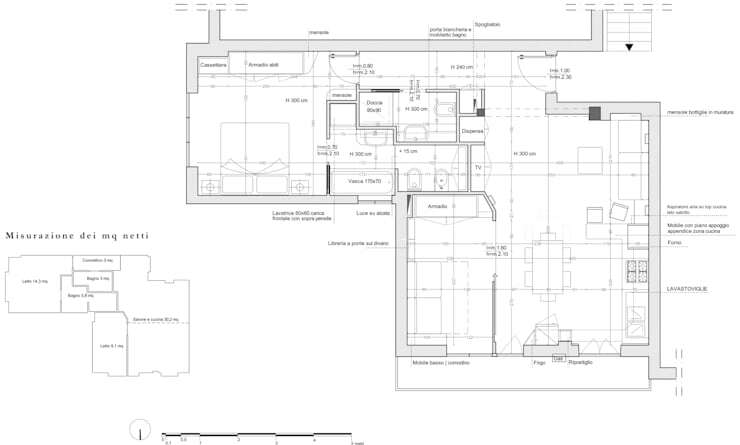 Planning is a must for any good renovation! 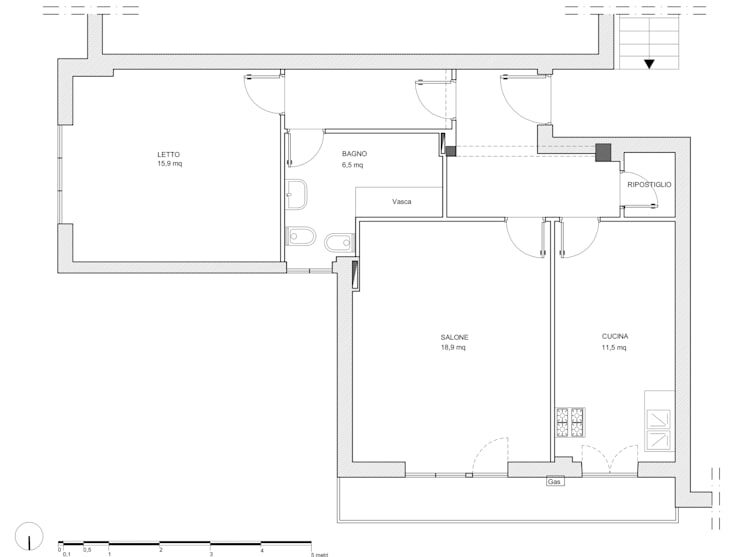 This plan shows us how another bedroom has been placed near the dining room while the living area has been placed where the corridor and a closet used to be. This is very interesting to study! If you liked this image, you'll love these 5 facades: 5 fantastic transformations.